It's April 1969, and fourteen-year-old Yolanda Sahagún can hardly wait to see her favorite brother, Chuy, newly returned from Vietnam. But when he arrives at the Welcome Home party the family has prepared in his honor, it's clear that the war has changed him. The transformation of Chuy is only one of the challenges that Yolanda and the rest of her family face. This powerful coming-of-age novel, winner of the 1999 Chicano/Latino Literary Contest, is a touching and funny account of a summer that is still remembered as a crossroads in American life. 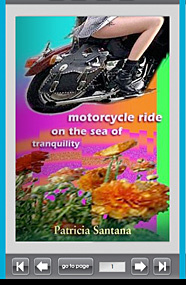 Yolanda and her brothers and sisters learn how to be men and women and how to be Americans as well as Mexican Americans. Having left her much-loved barrio, Yolanda Sahagún is now living in the university dorms when a series of events forces her to re-examine her life in San Diego, California. 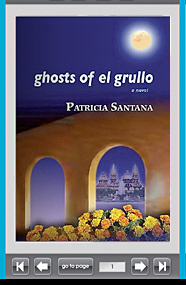 She also returns to her parents' hometown of El Grullo, Mexico, struggling to understand the ghosts in her life—her mother, her father, and her seemingly idyllic childhood home life. This is a story of Yolanda's initiation into womanhood and her fierce struggle to make sure her family does not disintegrate. This is a story of Yolanda holding herself together and coming to womanhood beautifully-in spite of the chaos around her. Family and sexual politics; love, death, and abandonment; the struggle to resolve a personal identity in the context of a shattered, first-generation immigrant American family—these are the hugely painful obstructions Yolanda must surmount, circumnavigate, or incorporate into her own being as she makes her life’s journey. Yet the remarkable Yolanda—clever, self-revealing, furious, tender, insightful, humorous and ultimately just—carries the reader with her eagerly, every step of the way.